Simple Tofu Scramble | Live. Learn. Love. Eat. 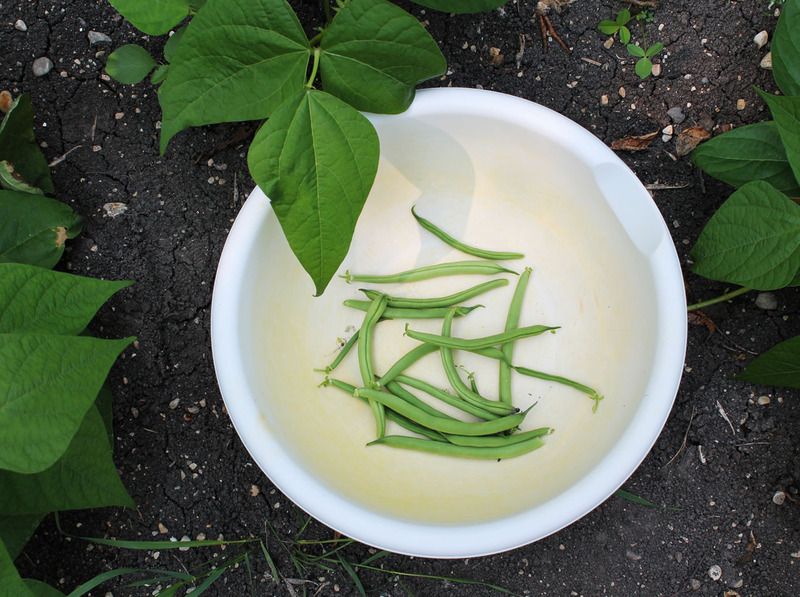 Yesterday we had burgers for supper and the girls were excited to go out and pick the first beans from the garden. There weren’t very many, but enough for the two of them to have. It was still exciting for them and they were yummy! After dinner we took a nice long walk together. 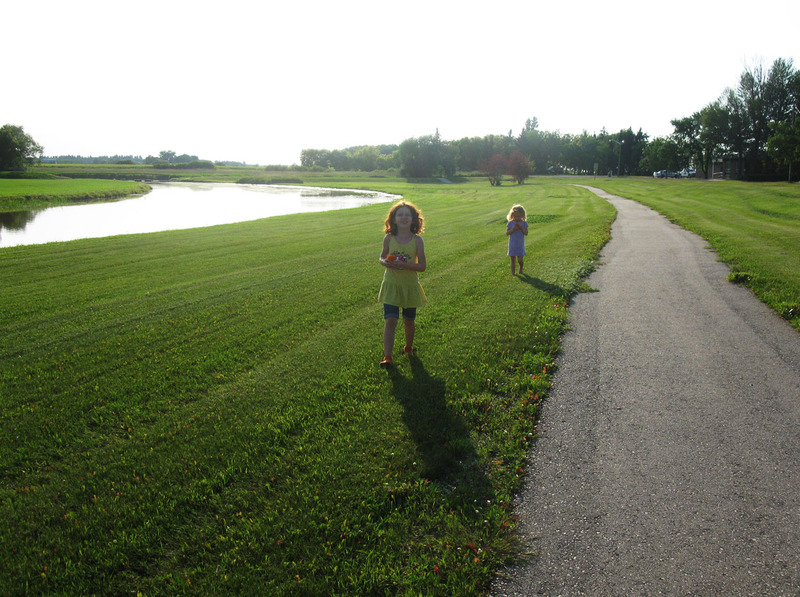 The girls enjoyed running through the grass by the river without their shoes on. This morning I wanted to try out a recipe for scrambled tofu. They used to really like eggs before we went vegan so I thought they would really get excited about this breakfast. I made a tofu scramble before but it had onion, garlic and red peppers in it and so it was more for adults than kids. My girls prefer their food simple and so I decided to make it exactly that way. A meal my kids love for breakfast! 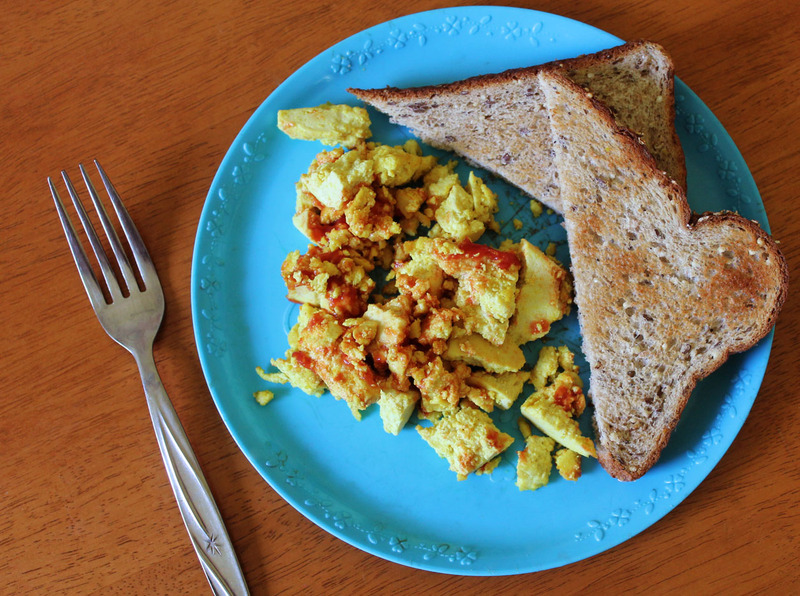 Serve this tofu scramble with whole grain toast and a side of fresh fruit for a balanced meal. Heat a medium skillet on medium heat. Crumble the tofu into bite-size pieces into a small mixing bowl. Add the oil, garlic powder, turmeric, sea salt and pepper and toss to evenly coat each piece of tofu. Fry the tofu, stirring consistently for 3-5 minutes, until hot. Serve with whole grain toast and vegan margarine. Serafina really liked it too. 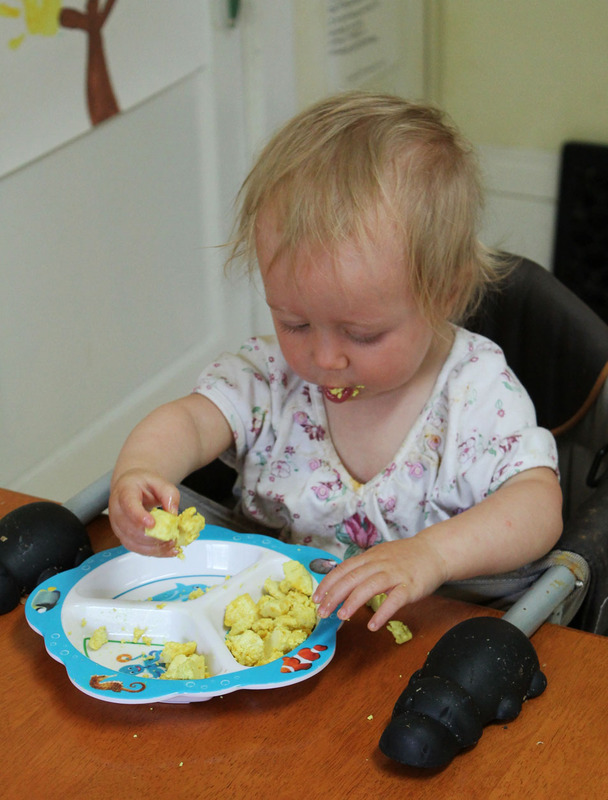 She loves to eat anything that she can feed herself (although it is so messy). We have recently stopped buying non-organic tofu and are soy products, except for the occasional veggie ground or tofu dog as a treat. I am also using sunflower oil now in place of canola oil to avoid any genetically modified canola. So in case you were wondering about the use of sunflower oil in my recipes, that is why. It is a bit more expensive, but worth it. I will be listing the recipes in my book using sunflower oil as well, but you can really use whatever oil you like. Just thought that I would mention it. I think I need a plate of tofu scramble this week, Tiffany! 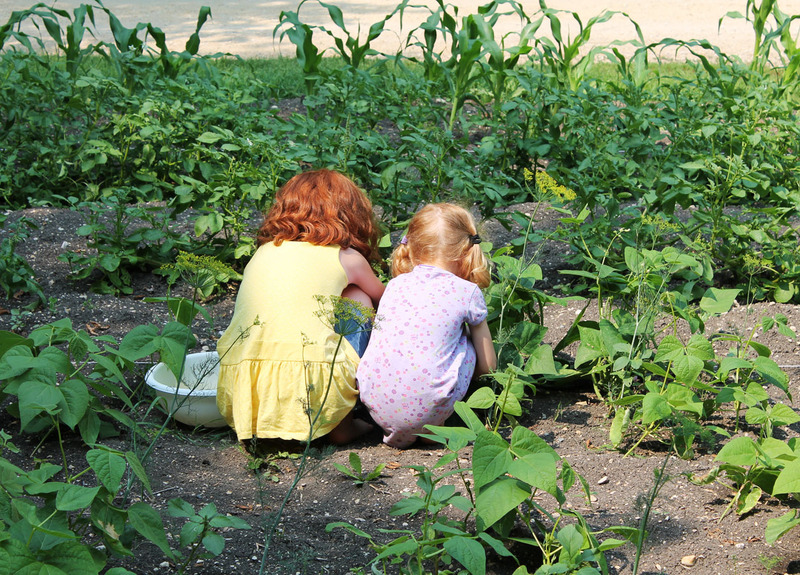 Lovely to see the garden producing and your girls enjoying it. 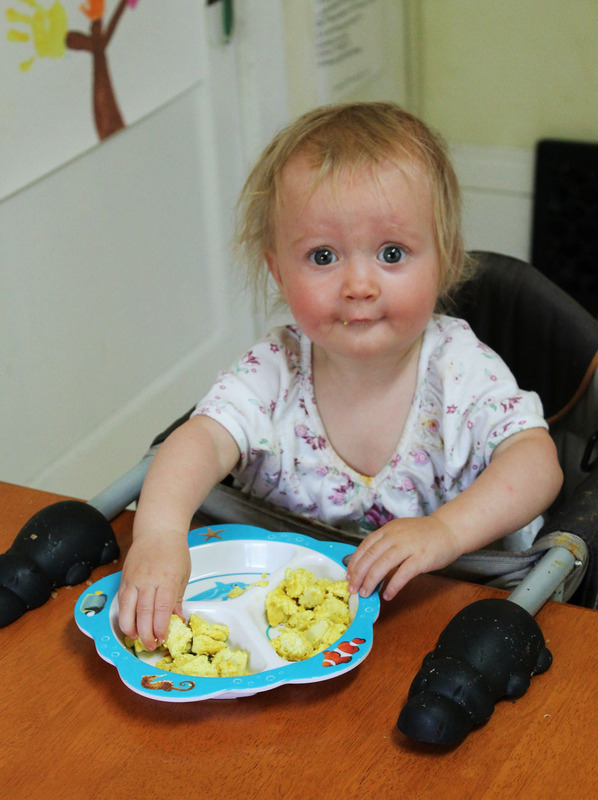 Looks like breakfast was a hit!